Third time I've used Michael and his team. Neat and efficient as always. The work was completed exemplary, in the time stated with the minimum of disruption to me. I would use this company again, and would recommend them to my friends any time. I called Michael at 2, was there at 4, diagnosed the problem to return the next day with the part to repair the problem. Didn't cost the Earth on labour and accepts a card payment, very convenient. Overall service was great and would use again if needed. First class Service. Arrived at exactly the time promised. On the dot. No unnecessary chat which so many work related callers do. Immaculate, clean and tidy. My previous Plumber retired so This Company new to me. Wish I'd found them before. I would thoroughly recommend This Company to everyone. Thank you Dex. A polite and efficient gentleman. Michael was excellent. He diagnosed the problem over the phone, came with the relevant parts 2 days later and solved the issue with my elderly mother's central heating problem. Such a relief to find a great plumber that is knowledgeable, professional and his costs are reasonable too. Plus he is a nice and friendly chap. Prompt and professional introduction followed by visit inspired confidence. Quotation provided was very competitive and friendly committed approach made choice of contractor easy. The only adverse comment is that debris from masonry work was trodden rather further than one would have wished but the job was far from simple and there are mitigating circumstances. I would unhesitatingly recommend Michael Paini who took trouble, first to research the project and then, after discussion, make several suggestions that have proved both prudent and practical. Work very neat and well finished. Was efficient, he checked to see what the problem was and it turned out not to be what I thought it was, it was something completely different which cost a lot less so very happy, as another company was wrong with what they said was wrong and was going to charge double. Very honest and trustworthy and did job fast. Would definitely. Recommend. 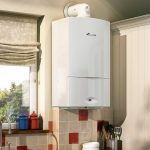 High-end professional boiler installation and works. Impeccable finishing, end to end outstanding work carried out by the team. My very old boiler needed replacing and re-situated from the kitchen to the attic, no small job! Michael and his team arrived on time every day with smiles on their faces and dedication to their work making what could have been a messy, inconvenient installation job a dedicated, comfortable, easy and friendly installation. What's more, every evening they cleaned up the work areas, so minimal disturbance!! My first point of call for any other work! Quick response good service for boiler safety check. 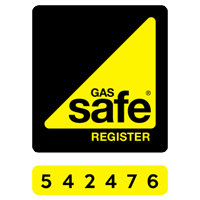 Great service, came on time, diagnosed fault with central heating quickly, would use again.